Dan Hatch is a founder at Typeset. He develops, directs, and creates editorial content for brand newsrooms across a variety of industries. He has been a print and broadcast journalist for nearly two decades, including nine years at a metropolitan daily newspaper, and has written for major publications across Australia and the UK. A Content Marketing Awards judge and #CMWorld speaker in 2019, he heads up Typeset's London office. Follow him on Twitter @daniel_hatch. If your role involves commissioning and approving content, you probably know that same sinking feeling: You’re 10 seconds into reviewing a piece and it’s already obvious the creator hasn’t understood a damn thing you told them. As you get deeper into it, your fingertips switch gears from polite tapping to full digital Riverdance as annoyance spews onto your keyboard. We’ve all been there. It’s why we drink. Or do yoga. Or practice voodoo. 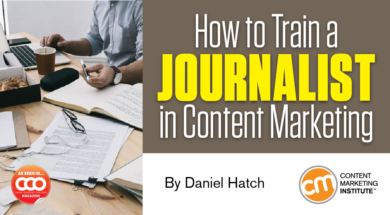 You’ve decided to hire a journalist for your content marketing team – congratulations! All the evidence says you’ve got yourself a hard-working individual used to delivering high-quality editorial on tight deadlines. Those are some darned useful qualities. But not all journos will hit the ground running. 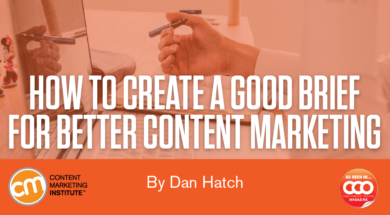 Making the switch to content marketing can take a bit of adjustment. And reporters who can’t get their head around the differences are going to struggle.